On December 22, 1789, North Carolina formally ceded six western counties to the Continental Congress, leading to the eventual establishment of the new state of Tennessee. Settlement of the western frontiers of North Carolina and Virginia that would eventually become Tennessee and Kentucky first began in the late 1700s. 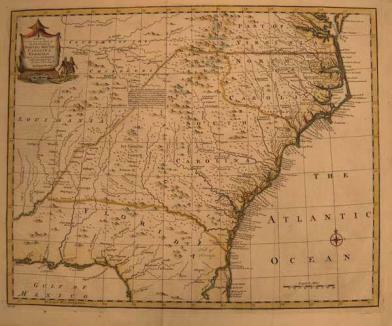 The North Carolina legislature authorized the creation of six new counties in the region between 1779 and 1784 as populations in the region grew and expressed a desire for self-governance. In 1784, a new state was organized and named after Benjamin Franklin. The new state was never formally admitted to the union, and the state’s five-year history was largely marked by strained relations with local Native Americans, North Carolina leaders and the Continental Congress. The Franklin legislature met for the last time in 1788. The western lands were folded back into the jurisdiction of North Carolina the following year, only to be ceded to the Continental Congress shortly thereafter. Tennessee was ultimately admitted to the union in 1796. For more information check out The Formation of the North Carolina Counties, 1663-1943 from N.C. Historical Publications.